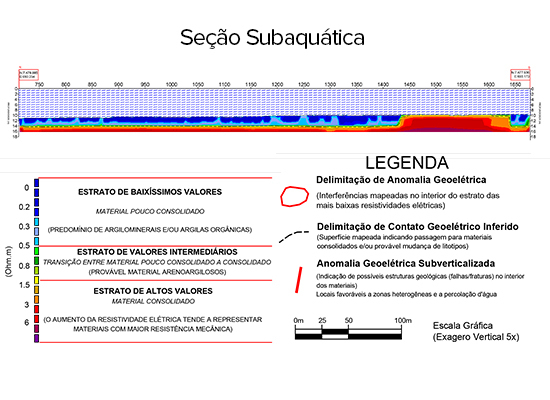 As an example of the use of the newest technologies in equipment and accessories available in the world market we mention the application of already established the Electrical Resistivity Method in aquatic environments using the technique of Geoelectrical Underwater Imaging. 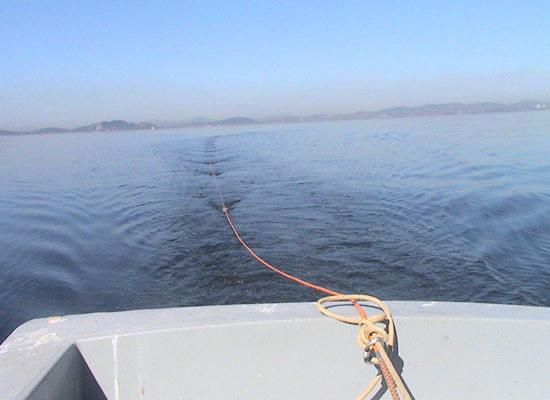 With the use of a special resistivity cable, towed on the surface of water (rivers, lakes or seas) by a vessel, the data acquisition is performed in continuous mode (while navigating). 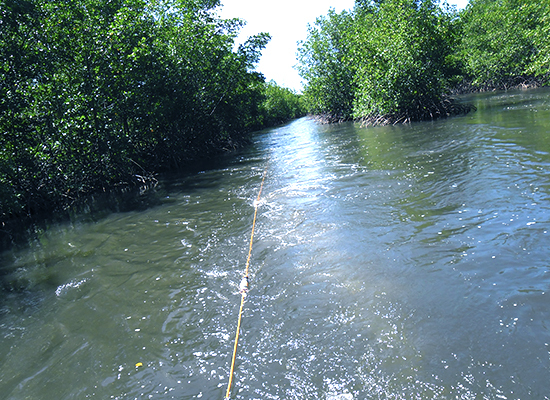 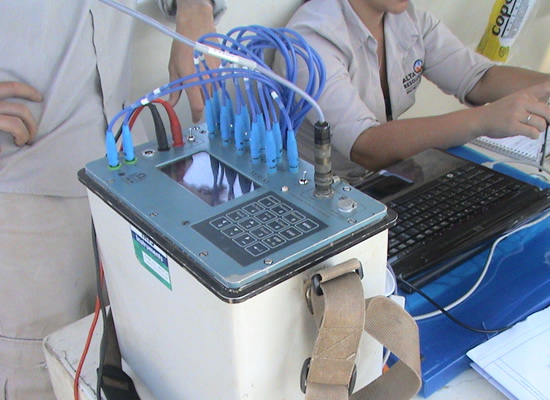 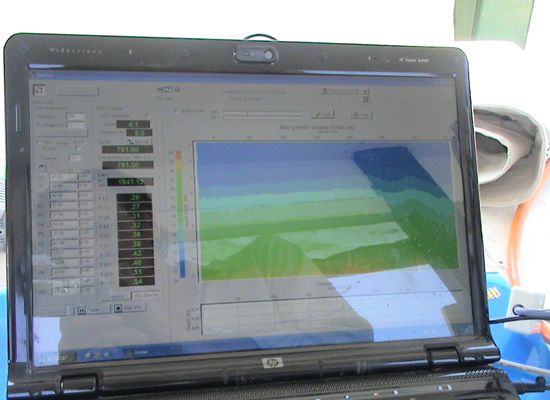 The equipment is connected to the GPS, with an echo sounder equipment and a laptop with some specific software, allowing real-time display of an image profile (pseudo-section). 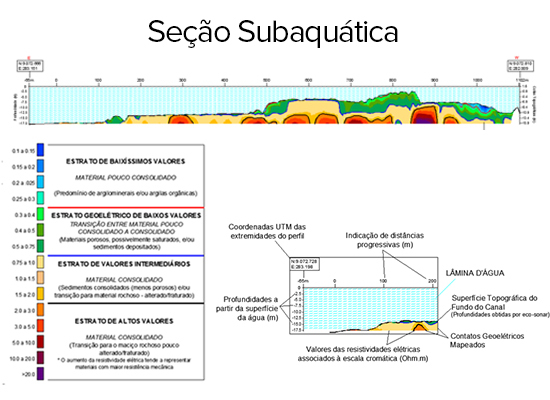 Thus, it is possible to map the water depth (topography of the bed) and distributions of materials below the bed.